It’s a Thursday evening like any other, the rat race for the day having been completed, obligations taken care of, dinner cooked and a cool Dr Pepper is sat down unopened on my desk. 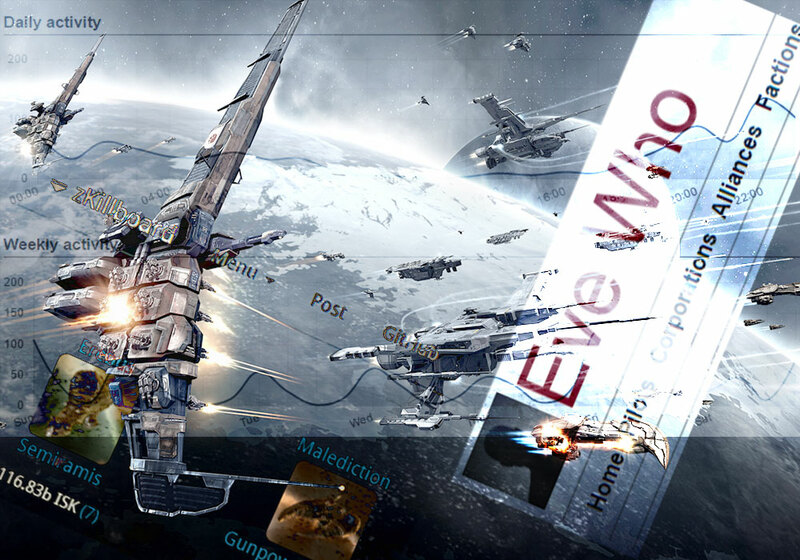 As I listen to the crack and pop of my wrist joints catching up after the strain of the day, I catch myself saying “I could play some Eve.” Gleefully I double-click that blue-hued icon on the desktop and soon I will become one of the few thousand people that form the sandbox of the galaxy that is New Eden. With a click and a loading bar I get to the character select screen, containing my carefully constructed and woefully underused Incarna avatars. They decorate the front of the neon boxes signifying my characters and one in particular was catching my eye tonight. An aged, white-haired Gallente woman, my highly-trained exploration ISK-making alt, was drifting in the nether of a special wormhole I managed to find a good while back. So, sure, let’s see if I can get some ISKies tonight. My mind set, I’m itching to play but I don’t click on the profile of the white-haired woman… not yet. That’s as far as I get within the in-game universe of Eve for the moment. I move my cursor to one of my other two monitors and open up a new tab in Chrome. As I type in ‘zkill’, the browser’s auto-complete predictions already know what I want to search. Clicking it leads me to the wormhole J-code entry in zKillboard’s database. I look over the recent entries, and see that a few owners found their ship’s reimbursement package after contact with a combat recon-flying capsuleer amongst others. This was done on different days and the kills were obviously independent of each other. Worse, I didn’t knew this masked, and directional-scan immune, stranger. The cursor of my mouse moves over and creates another tab. Fingers blaze through the keyboard as I type ‘eve-hunt.net’ followed by a very definitive enter-key press. Within seconds of operating the interface I find that the stranger is a US nightly timezone player, but probably also plays from work once in a while. He engages in a lot of solo WH work but goes out to Querios to fight with his corp a few times a week, so he definitely has a scout left behind in my wormhole. I find out his affinity for Combat Recons is new, mostly flying faction cruisers so far, but also that he enjoys flying T3Ds as well. I then move on to Eve-Who and input his name there as well. I find out he’s been in his current corp for a while, a nullsec entity, but that he has a pretty respectable history and age, being a 2006 character. That doesn’t say much with the new skill injectors, but I can ballpark how expansive his SP reservoirs are and a variety of other tidbits that I need to know. I come back to zkillboard and analyse over his killboard for a little while longer, looking for deaths to see what he usually fits and a grasp of how good he is, and then I put his name in the clipboard. My gaze moves back to the screen that has been the source of the background thematic tune that has been ringing in my ears for the past thirty minutes. I take a few bites out of my slightly cold dinner and open the Dr Pepper for a sip as I click on the picture of the white-haired woman in my character roster. A flash, a tiny stutter as the assets load and I’m in. SSD’s are a magnificent thing. Before my Proteus hits the grid, I am spamming d-scan and it fills with a table of celestials, wrecks and… a single ship name. I cloak up and align out as soon as my ship comes out of warp in my safe and for a second, I know I would have been seen if someone d-scanned at that exact time. Thankfully, I know that ship-name style with ornamental ASCII characters as belonging to another player, farming the same WH in his Tengu most times. He does the combats and anomalies and I stick to the relics. Never talked to him, but he doesn’t cloak up when I come around, even with him seeing a different ship name each time. The fact is either that he made my trick and is playing along or he doesn’t check d-scan, I can’t know, but I am fairly certain he’s not a threat. Under the safety of the cloak, I open up my watchlist (RIP. -Ed.). Rows upon rows of red and green blobs attached to names of pilots fill my screen in an instant. I add a new entry with the combat recon stranger’s name, set him to not see my notification, -10, and add him to my ‘WH Hunters’ label. Familiar names and faces get grouped together now. I’m usually happy to see this list full red, but that isn’t the case this day. Our stranger is offline, but another name is lit with bright green. He’s been a very persistent hunter, vetted in the same way I vetted our stranger, and I can’t imagine he’s out doing something else right now. I alt-tab to check his killboard, but noticing that he was not spotted on any killboards in other parts of New Eden, I come back to the beautifully bright skybox of the wormhole. I d-scan instinctively, as is natural for any Eve player, and I notice a special new wreck. I frown as I notice it’s of the ASCII-embellished Tengu formerly belonging to my wormhole ‘buddy’. For a slight second, a Gila is also caught in the all-seeing eye of the d-scan given the small system size, but it suddenly vanishes. I knew the killboard of that very specific person that was opened in my browser just got a new addition. Disappointed, I take a large gulp of my Dr Pepper and a slight sigh leaves my body. I change my ship name to a quickly-thought of ‘Lancelot Fizzle’, align to another one of my safe bookmarks, decloak and push the safe log off button while spamming d-scan some more. If anything dropped, I could have just insta-warped to another safe and cloaked up. The system remains dormant though, and thirty seconds later, my character and her ship warp of into the unrealistically safe nether of ‘LoggedOutLand’. As I open Netflix on another screen and continue finishing up my dinner, I leave behind all the potential outcomes and sandbox experiences of this night to be washed away, with a single stray thought going to that poor dead Tengu. Now, I feel your judgemental stare upon me, but know that I am playing the game that has been set in front of me. Was I being risk-averse? Yes, as that’s the nature enforced by Eve Online and supported by its medium. Is a jump freighter pilot that doesn’t use an emergency out-cyno or have eyes on the destination station a brave privateer? No, he’s a poor player and will be pointed at as a bad example. A great JF pilot using all the tools at his disposal and with good awareness, under the current mechanics, will never get caught. And that’s the gold standard. So how am I, how are we, different for also using all the tools at our disposal to avoid losing? 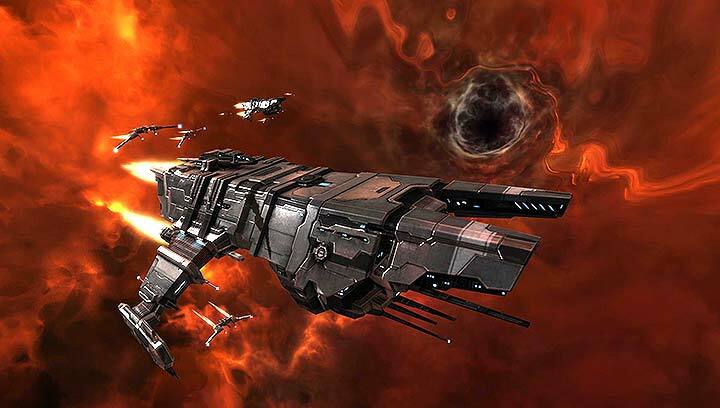 Was I creating a better sandbox and experience for everyone involved and for the health of Eve going into its second decade? No, I was not. But again, I was just playing the game as it’s laid out in front of me, using the tools I had available. If I had less information, less control over what I’m seeing, and fewer or more limited resources to draw on, I would have logged in, engaged in the game lacking omnipotent awareness, and maybe died. But maybe I would have wanted some revenge and brought in my main, or a few friends. Maybe it would have butterfly-effected the hell of that situation, escalating to a hundred-player battle, like in that one community-derided Eve trailer. Or maybe I would have just logged off in a fit… but I would have logged off creating a positive contribution to the sandbox, even if at my loss. However, the moment I can figure out a person’s sleep schedule and the fact of whether he’s a student or employed, the moment I can roughly pinpoint how he plays and fights and what ships he likes and what his stomping grounds are, the moment I can analyse a player and his corp in and out for half an hour and draw not only meaningful, but necessary information for me playing this wonderful spaceship game in an effective fashion… that moment is the moment where you realise that that white speck in the distance is the line that should have not been crossed. These were the actions of myself, a single Eve Online player, one of a few thousands and shrinking, and this is the way things are for most players and their interactions in the game. And that is not a good way. Catch part two of this series next time.